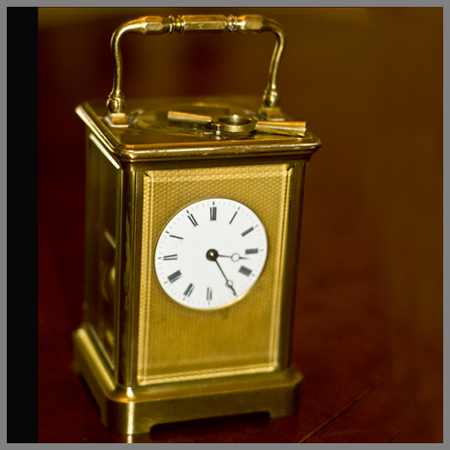 Please browse through the antique French carriage clocks on your right and please note that when you put your mouse over any of these images the images will enlarge. 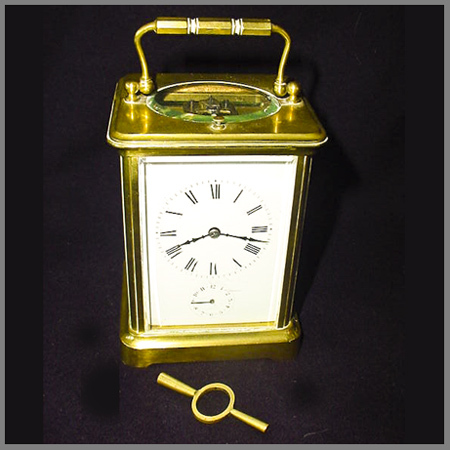 French eight day carriage clock, with time, chime, and repeat, in a Corniche Style case, ca 1885. 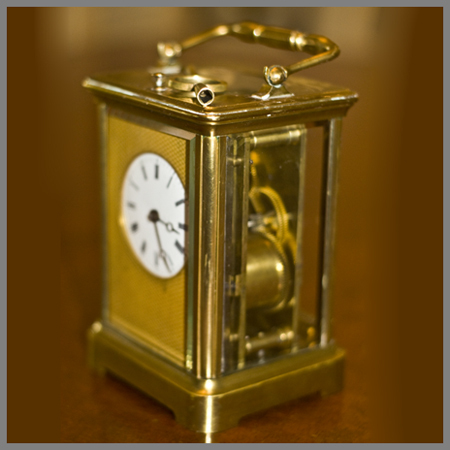 This antique carriage clock has a very nice brass case 7" tall, complete and all original. 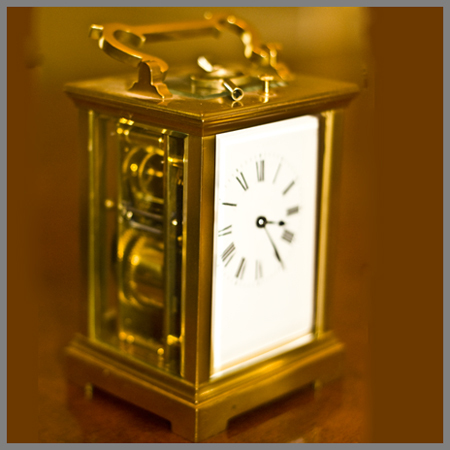 The movementis running, striking half hours and hours, and repeats the hours when the button on top is pressed. 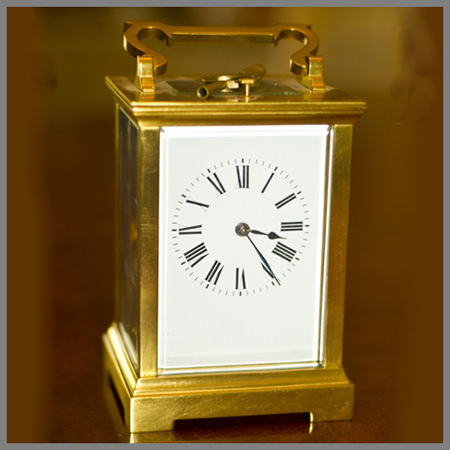 The movement is not signed but the perfect porcelain dial is signed, by an English retailer of the day. 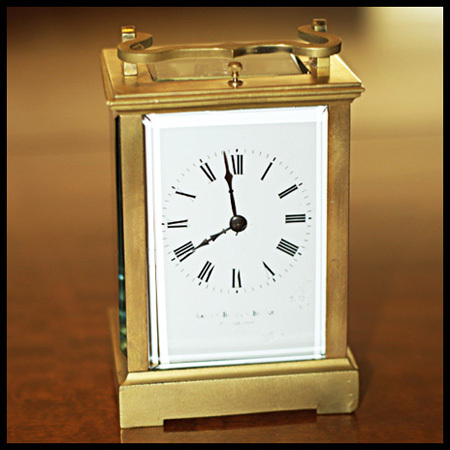 The case has five beveled glasses, with an oval atop and all in perfect condition. SOLD. 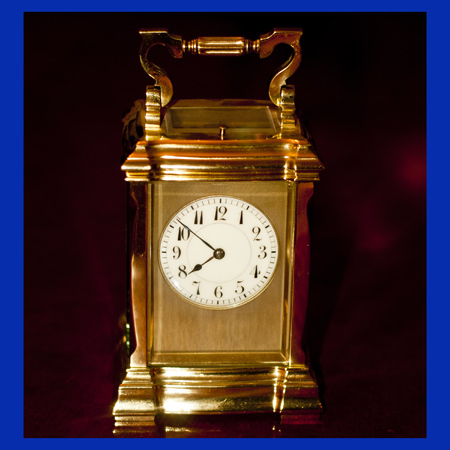 French eight day carriage clock, time, chime, and repeat, ca 1880. 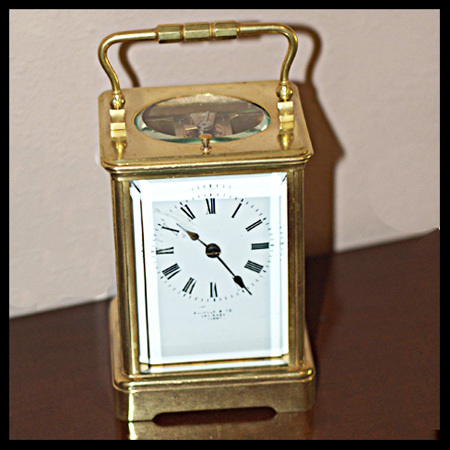 This simple and charming carriage clock, with Corniche case, standing 6¼" high and all original with a lovely curved handle. 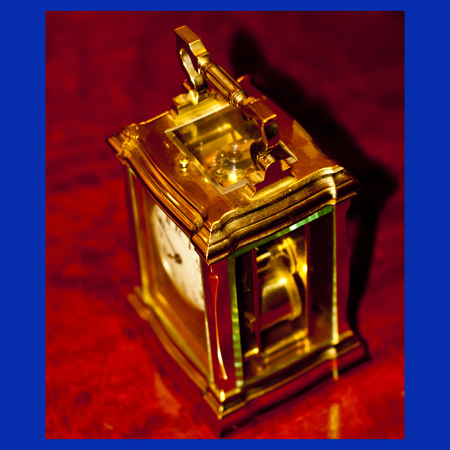 The movement is in excellent running condition. 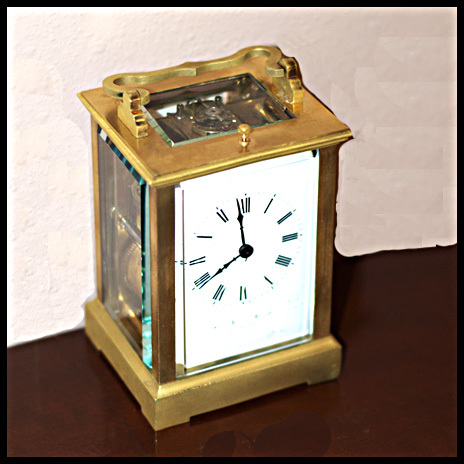 The move-ment is not signed, but is very clean.The dial is signed, “Bailey Banks & Biddle / Philadelphia”. It has a Perfect porcelain dial and nice pair of French hands. The glass is all perfect. 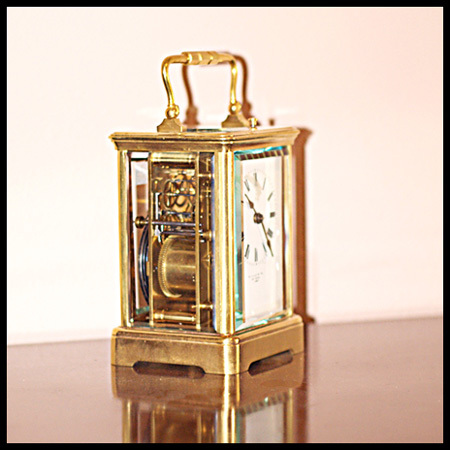 The repeat function is working properly, the clock strikes on half hours and hours. SOLD.